LBD & ONESIES - A Lifestyle Blog: Garfield's 35 for 35! 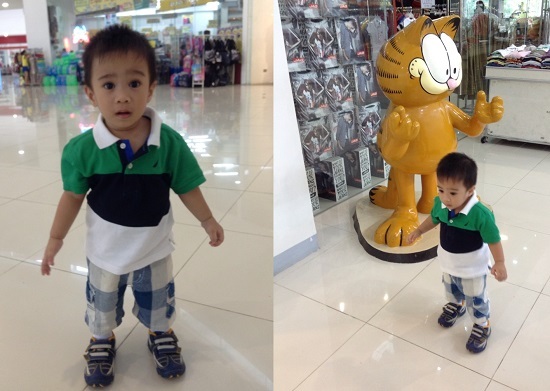 2013 is indeed a big year for the brand Garfield, as it will be celebrating its 35th year of providing comic relief and unadulterated entertainment to its millions of fans. 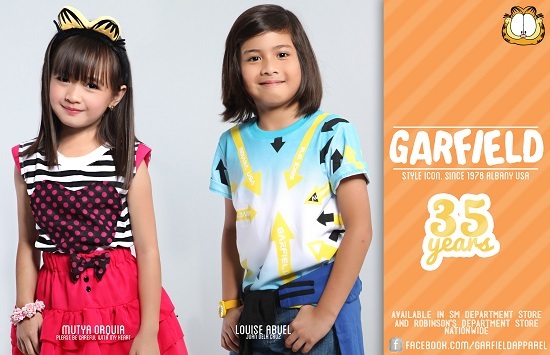 They recently kicked off this year’s festivities with the weekly children’s gag show Goin’ Bulilit with the first part shot at the mesmerizing Plantation Bay, Cebu while the latter highlighted the brand’s edge through a short skit featuring some of Garfield's celebrity endorsers - Clarence Delgado, Mutya Orquia, Joshen Bernardo, Belinda Mariano, and Carl Camo. 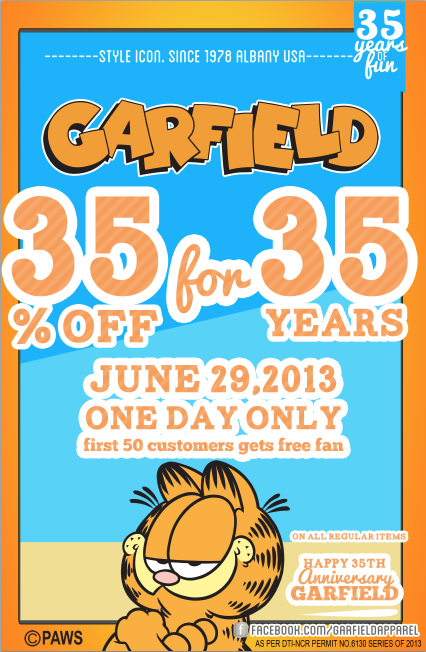 In continuation and as a grand appreciation for their fans’ continuous support and loyalty, Garfield would be having a sale event entitled “Garfield’s 35 for 35” on June 29, 2013 (Saturday) wherein shoppers will get to enjoy a ONE-DAY 35% discount on all regular newborn, toddlers, and childrens wear items at all SM Department Stores and Robinson’s Department Stores nationwide. They will be also giving away free Garfield fans for the first 40 customer per selected stores such as SM Mall of Asia, SM Megamall, SM North Edsa, Robinsons Ermita, and Robinsons Metroeast.